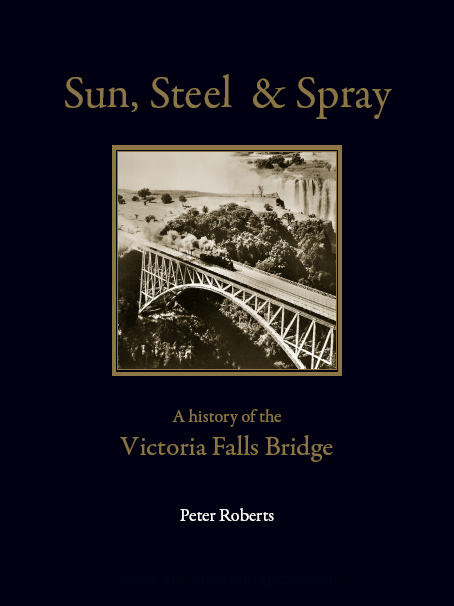 Sun, Steel & Spray - A History of the Victoria Falls Bridge, researched and written by Peter Roberts, and was first published in 2011 by the Victoria Falls Bridge Company. This first edition (64 pages, 25,000 words) was only available to buy through selected outlets in Victoria Falls (Zimbabwe) and Livingstone (Zambia). A new revised and extended second edition (158 pages and over 40,000 words) was first published in July 2016 (and an updated revised edition in October 2017). 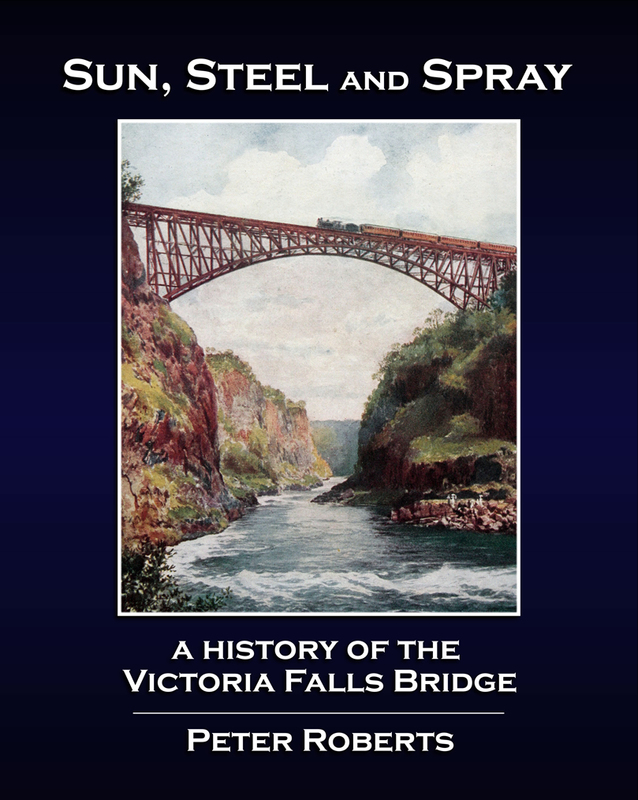 Sun, Steel & Spray - A History of the Victoria Falls Bridge is available through Amazon for online order. 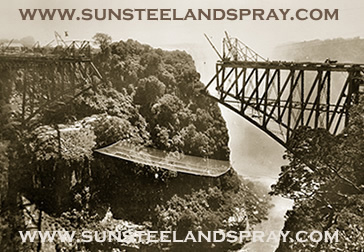 Sun, Steel & Spray - A History of the Victoria Falls Bridge is a comprehensive history of the planning and construction of the iconic Victoria Falls Bridge and is illustrated with a wealth of photographs from the building of the bridge to modern day. The Victoria Falls Bridge spans the Batoka Gorge a few hundred metres downstream of the great Victoria Falls. Over hundred metres below the Zambezi River thunders through rock and rapids on its was to the Indian Ocean. 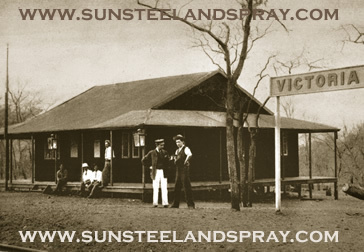 Built in 1904-5 as part of the extension of the railway north into central Africa, the opening of Zambezi Bridge, as it was then known, was celebrated across the world, and together with the Victoria Falls Hotel, put the Victoria Falls on the global tourism map. Introducing Cecil Rhodes and his vision for the development of a Cape-to-Cairo railway, Sun, Steel and Spray - A history of the Victoria Falls Bridge also gives an overview of the development of the railway from the southern Cape to the banks of the Zambezi, with detailed sections on the design, commission and construction of the Victoria Falls Bridge, and includes a history of the bridge to date within the context of travel and tourism to the Victoria Falls. 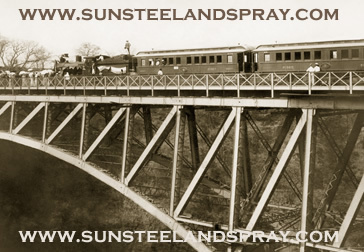 With close to 100 photographs and illustrations, and 150 pages of text, Sun, Steel and Spray - A History of the Victoria Falls Bridge is full of interesting facts, stories and information on the building of this landmark engineering achievement. 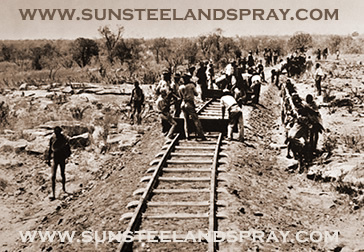 The building of the bridge was a landmark event in the development of southern Africa. Only fifty years earlier David Livingstone had made its setting, the Victoria Falls, known to the world. Now there was a railway linking Cape Town direct to the Falls themselves, and the small matter of bridging the gorge of the Zambezi River, only a short distance below the Falls. Technical engineering details are kept to a minimum, and the book aims to be an interesting and entertaining read, highlighting many characters, side stories and snippets of history. Did you know, for instance, that in 1914 a German spy stole the plans for the bridge! Whilst potentially a target for German sabotage during the war, the bridge luckily escaped the attentions of Paul von Lettow-Vorbeck and survives to this day. In fact the bridge has been at risk of being blown up three times over its history. 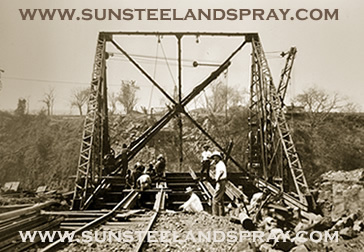 Read more on the building of the Victoria Falls Bridge in our Bridge feature section on the history of the Victoria Falls Bridge. 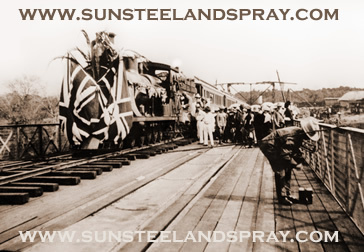 Sun, Steel & Spray - A History of the Victoria Falls Bridge is available on different amazon sites allowing payment in US dollars or UK pounds and dispatch within each country (or beyond - postal rates may vary). And also through European sites for payment in Euro and dispatch from within central Europe - find your local country-based amazon site (eg. Amazon.de, Amazon.fr, Amazon.it, and Amazon.es etc).